Courtesy of Mike Forman - Forman Realtors Inc.
Nice large square lot sits back off of the road about 420' allowing for privacy. 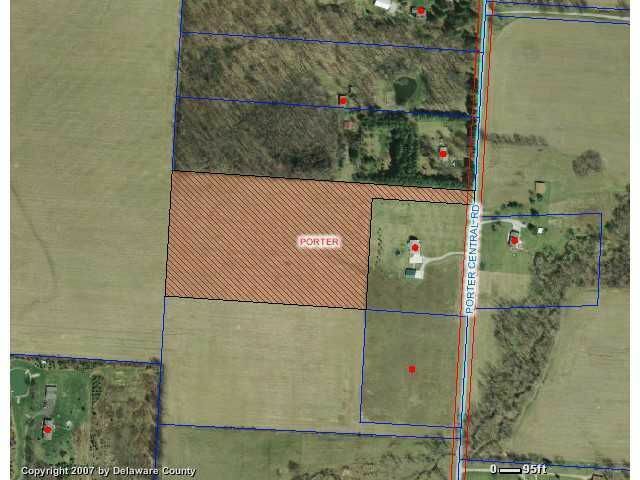 This property is located about 6 miles NE of Sunbury and is in the center of Porter Twp. in Delaware Cty. The Centerburg zip code being this far south is very unusual. This has a great commute. There is a nice woods along the north side of the property that would provide a nice back drop for your home. This property is ideal for the small horse farm as all of the land is usable. Many nice horse farms are located in the immediate area. Big Walnut Schools, Delco water is at the road. Enjoy!